Almost four years ago, a massive wildfire burned around Boulder, Colorado. The Four Mile Canyon Fire destroyed everything it met, including the pine forest that once sheltered this 4.5 acre property. Renée del Gaudio Architecture set out to design a new home there, taking the exposed landscape as an opportunity to resurrect the region’s heritage while affirming a sense of renewal. Learn more about the Barcelona chair in our conversation with Kenneth Frampton. 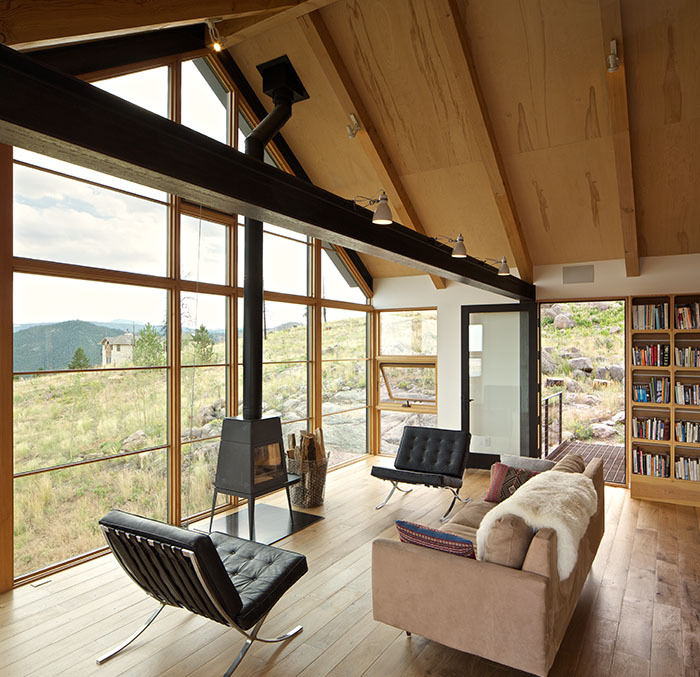 Discover work by Renée del Gaudio Architecture. View photography by David Lauer.